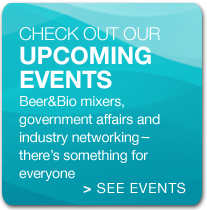 Is your company looking to share its knowledge of the biotech industry, present a biotech breakthrough, or release company news? • Opportunity to speak at one of the 3 anchor theaters in the BIO Exhibition: Bio Process Theater, GEN Theater, BioPharm Theater. Spots are limited, so submit your proposal now! • Opportunity to submit an editorial for the BIOtechNOW Show Daily publication. 5,500 BIO attendees in 15 nearby hotels will receive Monday’s Show Daily in their hotel bags in-room drop. The 4 hotels closest to the Convention Center—Grand Hyatt DC, Marriott Metro Center, Embassy Suites and Renaissance Washington DC—will distribute all 3 Show Daily issues. Along with the distribution stands set up in high-traffic areas in the Convention Center, live models will hand out this hot-news publication throughout the entrances. 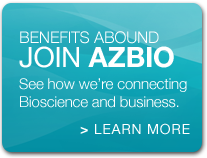 Sign up to exhibit today and join AZBio as a part of the 600 square foot Arizona Pavillion in biotech hub @ the BIO Exhibition. 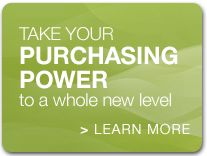 Contact us at AdvancingBio@AZBio.org for more information.